More than a decade ago, the idea of leasing versus buying a car wasn’t much of an argument. Everybody aspired to and wanted to buy a car, and it was mostly a question of when you will have the money for it. In the last few years, however, it has become a legitimate dilemma because of many factors like financial situation, technological advancement, a shift in the way people work, and many others. Now, leasing a car can actually be a better alternative to buying a car in certain circumstances, and vice versa. The question is, given your distinct needs and situation, which option is better for you? To help you determine the best decision, we have listed some of the key factors you should consider when deciding whether to lease or buy a car. This might seem like a very simple question, but a lot of people fail to analyze and realize what they are going to use a car for. Most of us need a car for our daily travel to and from the office. But if your office is far from your home, then you must consider the wear and tear the car would endure. This can greatly affect the practicality of leasing a car as opposed to buying one. If you are going to use it mostly for weekend getaways or weeks-long vacations and not for daily transportation, then buying a car makes sense since you might be able to preserve the car more, thereby decreasing its depreciation rate (which is estimated to be at 19% currently.) There are other considerations (as you will see below) but knowing first and foremost the main use you will have for your car will go a long way in determining whether you are better off leasing or buying a vehicle. What you do most of time (which is work for most of us) significantly affects what you use your car for, and consequently, helps determine which is the best option for you. The industry of freelancers and remote work are at an all-time high, and if you belong to that new class of workers, then you might consider leasing instead of buying a car. Getting short lease terms allows you the financial and logistical flexibility you need as a freelancer. Need to move to a new state after one year? You can just get another lease contract instead of bringing a car you own with you. Need a fancier car for branding or image building but cannot afford one? Lease one. On the other hand, if you’ve had your job for a number of years and you do not see yourself transferring to another company in another location soon, then it might be better to buy a car rather than lease. You would be able to take care of your car and preserve its resale value since you can, more or less, have a predictable use pattern. Again, taking time to think about the kind of work you do in relation to how you will use a car is a good starting point if you are debating whether to buy or lease a car. Having a car, whether leased or bought, entails additional expense. But we lease or buy a car because the benefits they bring outweigh and surpass the cost of using and keeping one (or at least it should.) So before deciding if you’re going to lease or buy a car, it’s prudent to research first the exact costs of both options and compare it to your current financial portfolio and income sources. When leasing a car, you do not usually need to pay any big down payment costs in exchange for a monthly lease payment that, while lower than car loan payments, would be charged for as long as the vehicle is in your possession. Maintenance cost is a lot lower as well, as most repairs (even damages caused by some accidents) are shouldered by the leasing company. On the other hand, buying a car involves, more often than not, a hefty down payment followed by monthly car loan payments that are usually higher than lease payments. You are also solely responsible for repair and maintenance costs. The upside is that if you are diligent with maintenance, you can dramatically reduce ownership cost, and thus, you could end up with a valuable asset after you have fully paid the car loan. You can either sell the car afterwards or continue using it without any additional costs aside from regular maintenance. Given these parameters, for those who aren’t that sure about their current work or want to have more flexibility in their finances, leasing a car could be a better option. But keep in mind that you’re not going to get anything for your payments aside from usage, and the money that you will be spending on the lease will be purely an expense. For those with more stable jobs who can commit a significant amount of money in the next four or five years without any problems, then it might make sense to buy a car. This question pertains to time to maintain a car. Although it isn’t something you need to do on a daily basis especially when talking about brand new cars, buying a car means that you should have the time to monitor the status of the car yourself. Brand new cars have warranties, but it is still up to you to bring it to the dealership regularly to have it checked. If you don’t think you would be able to do this, then leasing might be better for you. 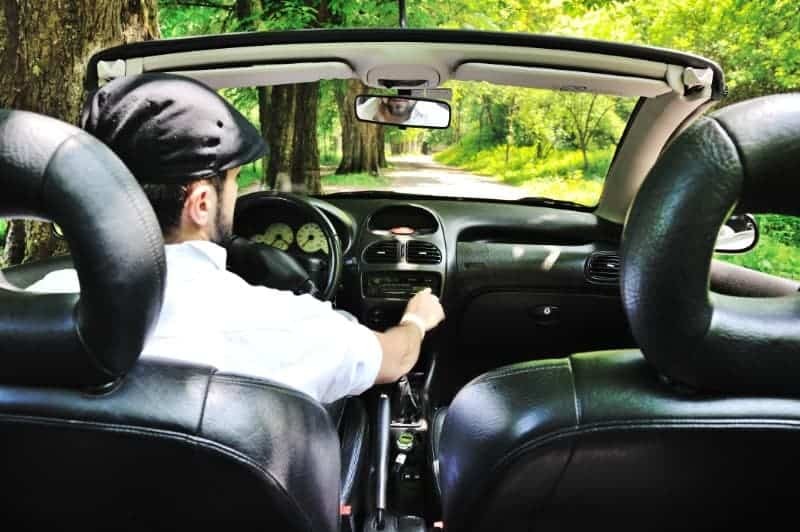 Beyond accidents and cosmetic damages caused by daily wear and tear, the maintenance of the car is mostly shouldered by the leasing company, as it is their property. And most leasing companies have a backup car ready in case the repair on your current one takes time, so you can continue on with your journey. Nowadays, with the rise of freelancers and remote work, leasing a car has become a legitimate option for a lot of people. This is because the cost of owning a car varies greatly from state to state. In a report by Fortune.com, it cited New York City as the city where it is most expensive to own a car. With an average car ownership cost of $18,926 in 2017, it’s almost double the national average of $10,288. While you will still pay most of the costs that comprise this amount whether you lease or buy a car, it will still undoubtedly be more expensive to own one. If you’re the type that bounces from state to state for work or leisure, it makes sense to lease rather than buy a car. On the other hand, if you live in a state with low taxes on fuel or cars, then by all means, consider buying one. This is something not usually talked about when it comes to the issue of leasing or buying a car. Both options entail responsibilities that go beyond simple computation. For example, whether you can save money or spend more on maintenance costs of your own car depends on how committed you are to maintaining it, which is hard for some people to determine. Meanwhile, those who decide to lease a car now might feel that they are making the safer bet, but they might also regret their decision a few years from now when they realize they do indeed want to have an asset or property that they fully own. If you’re afraid of the future maintenance costs and your ability to maintain your car, then leasing would be a safer bet. If you’re more bullish that you would be able to sell your car or trade it in for a better one a few years down the road, then buying one can certainly be an option for you. Or, if you are well-versed in car care or you have a friend that is a mechanic, you can even consider buying a used car. You will probably spend a little bit more in repair, but you will surely pay less in monthly car loan payments as opposed to a new car. It all boils down to how much risk you are willing to take on, which will be based on your buying habits and tendencies. So, you should also review your past big purchases or leases and evaluate how you felt before, during, and after using that particular commodity. It may sound a little cheesy, but how you feel about your own future and how you predict things will be a few years from now (e.g. work, location, etc.) is also one of the factors that you should consider. For example, the continued rise and development of electric vehicles may, in the long run, significantly reduce maintenance cost due to less mechanical and moving parts. But at the same time, electric vehicles are expensive as of now, and the resale price is still up in the air. So, if you want an electric vehicle but can’t afford it as of now, then you can choose leasing over buying for the meantime. Another example would be if you are preparing for a very expensive purchase a few years from now like a house, or you see yourself getting married. Leasing may be a very practical option if you are in one of these situations, as you would still have a car to use, but you won’t need to spend your savings on the down payment. As is clearly evident with these considerations, there is no clear-cut or definite way to determine whether it is better to lease or buy a car. While there are things that can be computed to illustrate which is a better or less expensive option such as outright costs, monthly payments, and maintenance costs, these are all just a part of a bigger picture. The best approach would be to consider as many factors (such as the ones enumerated above) as you can based on their level of importance to you and your situation, and choose which ones are beneficial to your decision. What you should not be doing, however, is deciding based on the opinions of others, or what they chose when they were in the same situation. Our needs and wants vary, and a major decision like buying or leasing a car must be based on our own particular situation. Also, do a lot of research. If you are leaning towards leasing a car as your option, make sure that you carefully study the leasing contract of your preferred car leasing company. A lot of people are surprised by leasing fees and other costs that they were not able to consider in their budgeting because they did not read the fine print of the contract. Do not be afraid to ask questions and make sure that they are answered clearly. For example, if the car you are leasing got scratched or damaged as a result of an accident, which part of the expense is shouldered by the company, if any? Will you have to pay a participation fee before they fix the damage, like insurance companies require? Scenarios like these should be stipulated in the leasing contract so you wouldn’t be caught off guard. When it comes to buying a car, be also aware about the insurance and interest costs. Make sure you have a copy of the official cost and payment computations, as some unscrupulous dealers might include escalation clauses that can cost you significant amount of money in the long run. In the end, there is no absolute right or wrong choice as leasing or buying a car both have their pros and cons. But knowing your priorities and doing a thorough research will go a long way in not only letting you save money, but also letting you maximize the use of your car, whether it is leased or bought. Leasing and buying a car are two different things, even if at first glance they sound very similar. The key difference is that leasing payments only go towards renting a car while buying payments go towards owning your car. The first question most people have about leasing vs buying is, which one is better? Which one is more affordable? They both have positive and negative aspects to them. The following are questions on the comparison of the two. There are pros and cons to both buying and leasing a car. The monthly payments for leasing a car are cheaper than car payments to buying a car, but it is cheaper to buy a car in the long term. Whether you should lease or buy a car depends on your own budget, plan and preference. If you lease a car you will always have a newer car, but if you buy a car you will have no mileage limits on your driving. Is it cheaper to lease or buy a car? Typically, the monthly payments to lease a car are less than the monthly payments to buy a car. However, if you choose the option to buy the car you will only have to make payments for a few years. What is the difference between leasing and buying a car? Leasing a car is the same as renting a home. You can have the car while making the payments on the lease but will not own it at the end of it. If you chose to buy a car you will own it at the end. Why lease a car vs buy? There are positives and negatives for both. A positive for leasing is that you will typical be covered under the manufacturers’ warranty and not have to make any major repairs. Is it better to lease a car or buy used? They are both good options when getting a car. Leasing a car is easier if you have bad credit as you can be approved easier and will not be charged as high in comparison to getting a loan. What are the advantages of leasing a car vs buying? There are advantages to both leasing and buying a car. When leasing you will never be paying more than the car is worth. While someone who is buying will have no restrictions on mileage. When is it better to lease vs buy a car? It is better to lease when you need money in the short term to fit your budget. It’s better to buy when you’re looking for an investment that will be more affordable in the long run. Is leasing a car more expensive than buying? Leasing a car is more expensive than buying in the long term. Leasing a car still has its perks like having a new car more often and lower monthly payments. Is it easier to lease or buy a car? They both involve contracts that should not be rushed into. It would be easier to lease a car if you have bad credit. It also comes with affordable monthly payments. Should I buy or lease a tesla? Buying a Tesla in the long term is a better investment and more affordable. If you cannot actually afford one you can lease one temporarily for a cheaper price. Is it better to lease or buy a semi-truck? Buying a semi-truck is better in the long run. The only time it would make more financial sense is when there will only be a need for one for a year or two. Is leasing a car the same as buying? Leasing is when you rent a car from one to several years and can you use it as yours with some restrictions. Buying a car can involve monthly payments if you take out a loan. Should retirees lease or buy a car? Should I buy or lease an electric car? Electric cars, that are not Tesla, are usually leased. They are leased because they worry about the battery deteriorating and new better batteries coming out soon. Is it better to lease or buy a luxury car? Leasing a car is more expensive in the long run. However, it comes with nice perks like driving a new car more often and lower monthly payments. Leasing a car can be viewed as a luxury. Is it better to lease or buy a BMW? It will be a better investment to buy a BMW in the long run. If you’re looking to drive a BMW only for a few years and then trade-in leasing is a good option. Should I buy or lease a Jeep Wrangler? You should buy a Jeep Wrangler instead of leasing. Investing in buying a car is always more affordable in the long term. Why would you lease a car instead of buying? You may want to lease a car instead of buying if you would like to have a new car more often without going through the hassle of selling your old car. How much cheaper is leasing than buying? Leasing a car is not actually cheaper than buying a car. It is only cheaper in up-front costs and monthly payments, but after six years the person buying a car will pay less money. Leasing or buying? Well sometimes you can do both. This section is about buying a leased car or even trading it in for a different car. Read on to have your questions answered. How to buy your leased car? You can buy your leased car once the lease with the company has expired. You can also purchase the car before then but can be subject to penalties for canceling the lease. Can you trade in a lease to buy a car? You can trade-in your leased car to buy a new one. The dealer will pay the lease off the cost of the payoff will go against your trade-in value. Can you buy a car before the lease is up? It is possible to buy your car before the lease is up. However, it might not be the most affordable as you can be charged fees and penalties for not finishing the lease. Leasing a car can be a good method to really test out a car before buying it. Once you have finished the lease you have the option to buy it. Where to buy off-lease cars? You can buy off-lease cars through various places that you would buy a car, including new and used car dealerships. Off-lease cars are usually relatively new and have fewer miles. How does lease with option to buy work? You can lease a car for a few years and once the lease is completed you have an option buy. The leasing company will usually offer you financing but you can shop around for a better deal elsewhere. Will CarMax buy my lease? CarMax will buy your lease for you. If the value, the appraised the car at is higher than the residual value the leasing company give you can even sell it for a profit. Should I buy out my lease early? Buying out the lease can be a good option in certain circumstances. If you have accumulated extra miles and wear and tear to the car you can just buy it to avoid fees. Where to buy cars coming off lease? You can buy cars that have just been leased from auctions, the leasing company, or dealerships. They are a good buy as are close to knew and have restricted miles. Is it smart to lease a car then buy it? In the long term it is more expensive to lease and then buy vs just buying it. However, if you’re not ready to make the decision, you can lease it until you make your decision. How to do a lease option to buy? When leasing a car, you will have the option to buy it once the lease is over or before it is completed for an extra fee. Where to buy a previously leased car? A previously leased car can be bought at new and used dealerships and other places you would normally buy cars. Just look for off-lease cars. What happens when you want to buy your leased car? You have to option to buy your leased car at the end of you contract. The business will typically prefer to sell it to the person already leasing it then going through the hassle of preparing it and selling it elsewhere. Can I buy out my lease with bad credit? You can still buy out your lease with bad credit. Keep in mind that people with bad credit are charged more for financing a car. Are leased cars good to buy? Leased car are good to buy because they have mileage restrictions on them and are kept in pretty good shape. IF you where the one previously doing the leasing then you already know the history of the car. When does it make sense to buy your leased car? The price to buy is made at the time when you make your lease years in advance. Sometimes the buyout price is lower than market value and that is when it makes sense to buy. What is a lease with option to buy contract? It is a contract when you lease a car for a number of years and at the end of the contract you can buy the car if it makes financial sense to you. Can another dealership buy out a lease? Any dealership can buyout the lease as long as you’re buying a car from then. They will take what was charged from the lease buyout and place it against your trade-in value. How to negotiate buying a leased car? The first step is determining the value the leased vehicle. The company will give you a residual value of the car when you first leased it. If the actual value is higher than the residual value, it’s a smart purchase. If not negotiate it lower. Can I trade my lease to buy a car? You can trade-in your leased car like you would your normal car and the dealership will handle the leasing company. You will not get as much for a leased car in comparison to one you own. Will a car dealer buy me out of my lease? A car dealer can buy you out of your lease if you chose to trade the leased car in. The dealer will deal with the leasing company and take the lease buyout cost from your trade-in value. How to buy a leased vehicle? A leased vehicle can be bought at any time from the leasing company. You don’t have to take the financing they offer so make sure to look for better deals. How to buy ex lease company cars? You can buy old company cars from dealers like any other cars. They are usually better maintained and can have records of service and maintain done to it. In this section, we’ll cover questions on many different topics, such as whether you need to buy insurance for a leased car, if you can buy more miles on your lease, and if you should buy wear and tear coverage. Should you buy gap insurance on a lease? Many leases already have a gap insurance built into the contract. If you have not been automatically offered to you, buy the gap insurance for the time your car is less more than what the lease values it as. Do I need to buy insurance for a leased car? You will need to buy insurance for a leased car. It is possible to have it all in one payment with your leasing company to make it easier. Should I buy lease wear and tear coverage? If you are leasing a luxury car wear and tear coverage should be purchased as small scratches and dents can be expensive. Can I buy more miles on my lease? You can buy more miles for your lease but it can get expensive. The per-mile cost is in your lease and can range from ten cents a mile to twenty-five cents a mile. Should I buy extended warranty on leased car? Leased cars are usually covered under the manufacturer’s warranty. If you plan to lease the car longer period of the original warranty an extended one should be bought. Is it easier to lease or buy with poor credit? It is easier to lease with poor credit. There is not as much risk involved for a leasing company because they can just take their car back at any moment and have their full investment. Where can I buy a lease agreement form? There are many different places to buy a lease agreement form from Walmart to Staples to Office Depot.